Courtesy Photo by Speedshot Photography The Cadarette Collision #21 Arctic Cat Racing team celebrates after winning the 51st annual International 500 Snowmobile Race on Saturday at the Sault International I-500 Snowmobile Track in Sault Ste. Marie. The trophy and sled will be on display at Sports Unlimited Tuesday and Wednesday. 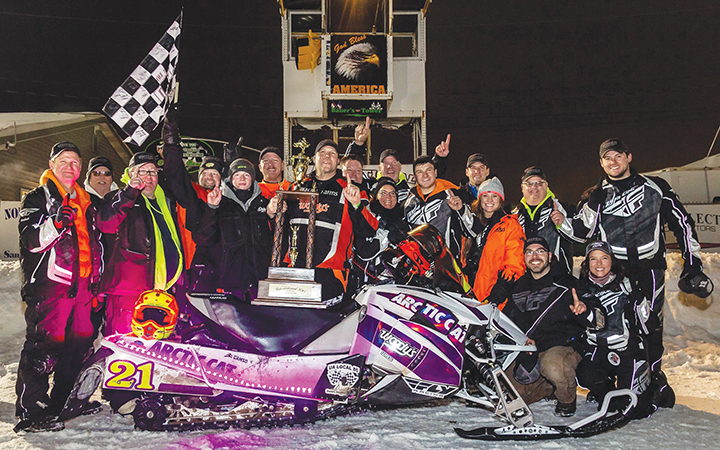 For the fourth time in its rich history, Cadarette Collision Racing (#21, Arctic Cat) was victorious in the International 500 Snowmobile Race held in Sault Ste. Marie on Saturday. After winning the race in 2001, 2009 and 2010, the Cadarette Collision team, made up of racers Troy DeWald, Ryan Spencer and Bill Wilkes ended an eight-year drought and came out on top, but for team owner and crew chief Greg Cadarette, the victory for his team on this time around was even more special. Cadarette Collision dedicated this year to close friend and team supporter Larry LaFluere, who lost his battle with cancer. Despite his passing, Cadarette strongly believes that LaFluere was watching over his team all weekend and had a big smile on his face when his team crossed the finish line Saturday night at the Sault International I-500 Snowmobile Track. 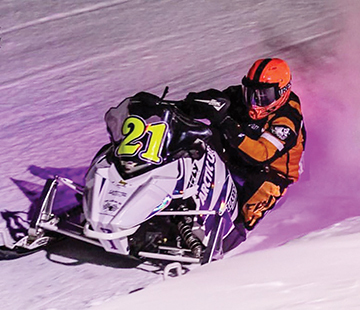 Courtesy Photo by Speedshot Photography Cadarette Collision’s Troy DeWald makes a turn during the International 500 Snowmobile Race on Saturday at the Sault International I-500 Snowmobile Track. DeWald finished the race and won his third I-500 with Cadarette Collision Racing. From the time that the team arrived at the track, everything seemed to go right and it stayed that way for most of the weekend. Cadarette Collision was on a roll, winning the pole position on Wednesday and winning the Woody’s Shootout Challenge on Thursday, before winning the 51st annual I-500 on Saturday. 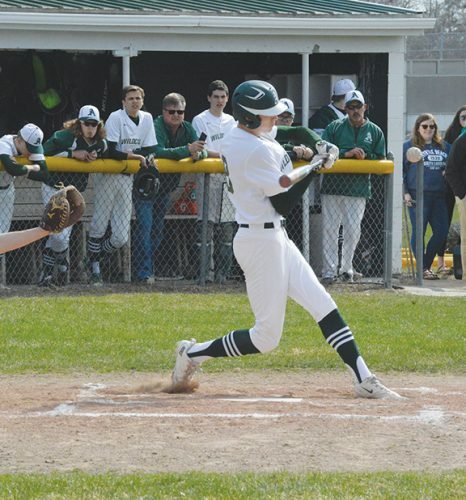 Cadarette Collision was able to make some history by becoming the first team to ever sweep the events. 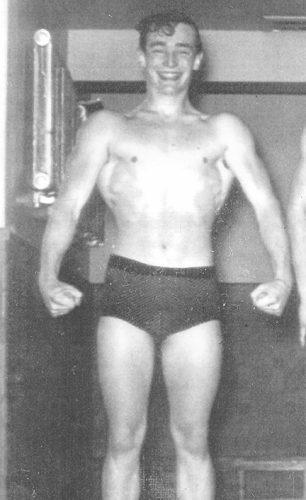 This was also the third time that the team had won the pole and went on to win the I-500 in the same year. DeWald started the race with Spencer taking over after a few laps. 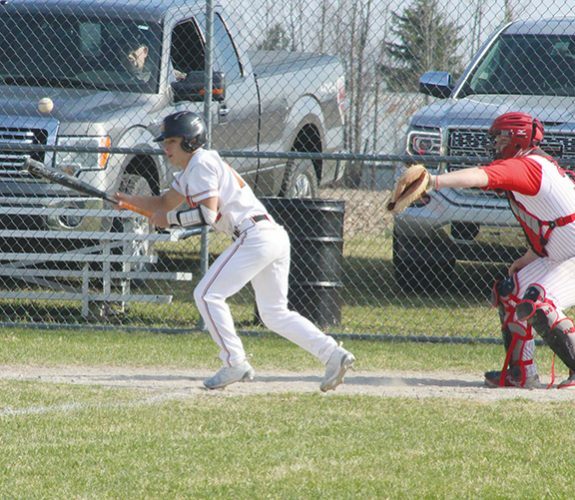 Wilkes was ready to get on third, but the team had dropped a few spots behind, so Cadarette Collision decided to go with Dewald to try and make up some spots and that’s exactly what the 49-year old veteran did. 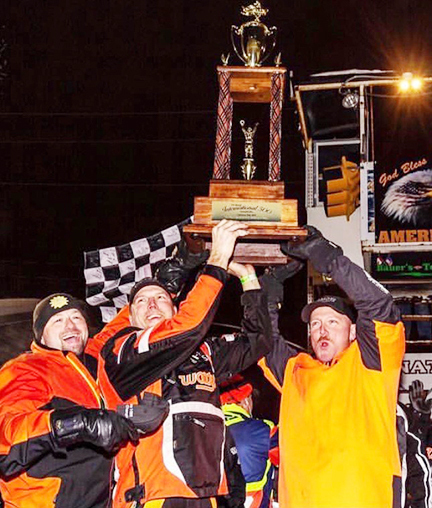 Courtesy Photo by Speedshot Photography Cadarette Collision racers (left to right) Bill Wilkes, Troy DeWald and Ryan Spencer hold the 51st annual I-500 trophy. After trailing by four laps at the midway point of the race, the trio climbed their way back to the lead lap with 84 laps to go and DeWald made the winning pass on rookie L.J. Quick of Hoos Racing for the lead with 69 laps to go and bring home the win. Cadarette Collision built a near 30-second lead late in the race, but cautions came out and allowed Hoos Racing to narrow the gap and get right on the No. 21 sled’s bumper with five laps left. Fortunately for Cadarette Collision, they were able to hang on thanks to the stellar driving of DeWald who went on to earn his third career I-500 victory. DeWald was victorious in 2009 and 2010, also with Cadarette Collision Racing. Wilkes, a 50-year-old from Wasilla, Alaska, won his second career I-500 and the 43-year-old Spencer from Flint, picked up his first career win at the I-500. The team had the two oldest drivers in the event with DeWald and Wilkes. DeWald has raced for Cadarette Collision for over a decade and has teamed with Spencer for the several years for Cadarette Collision Racing and Wilkes was racing with the team for the second time. DeWald crossed the finish line and let out a loud scream over the radio and the rest of the team on the headsets began to yell in excitement, realizing what they had just accomplished. DeWald crossed the finish line in the team’s purple and yellow colored No. 21 Arctic Cat, designed with special lights that allowed the sled to glow underneath the skies that were lit up with fireworks as the crowd went into a frenzy cheering for the 51st annual champion.